One aim of the solo work, Anderson said recently, is to cast a journalist’s eye on all sorts of subjects, including politics, theories of evolution, families, history and animals. The truth—or at least Anderson’s version of it—should emerge, challenging notions that the future will get better. In “Dirtday!” Anderson tells multiple stories in short sections, in addition to playing keyboards and electronic string music. Reflections on everything from Darwin and peacocks to a tale of visiting a tent city for the homeless give the show comedic highs tempered with compelling social commentary. Anderson’s creations are often works-in-progress, so “Dirtday!” may well have undergone some tweaking by the time it arrives in Winston-Salem. Anderson, when asked to describe how her art has evolved over the course of the entire trilogy, says she’s become “a lot better at mixing stories with sounds (and) finding sounds to support and punctuate the stories.” In some instances, the music steps forward and sometimes it’s more like the soundtrack of a film. Music and words are the media that Anderson, a self-described multimedia artist, has chosen for “Dirtday!” Her biography indicates that she’s cast herself in many other roles, including that of visual artist, poet, photographer and filmmaker. She has written several books, composed music for films and had her visual art exhibited in museums. 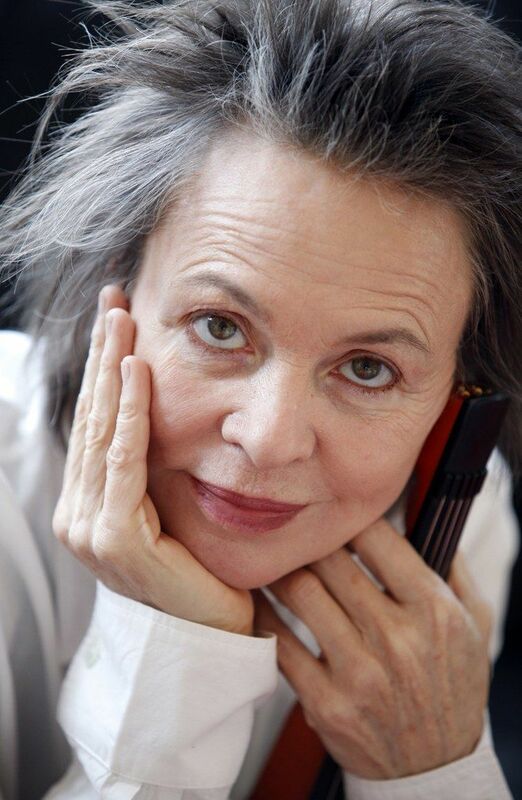 Her “Collected Stories: Books by Laurie Anderson,” will be on exhibit at Salem College throughout the month of April. Anderson says that curiosity accounts for her interest in so many different media. Anderson says that her next project is a film for French television. The film will entail images without words. It was initially conceived as a way of communicating Anderson’s philosophy of life. “Collected Stories: Books by Laurie Anderson,” exhibitionApril 1-28The Galleries at Elberson Fine Arts CenterFree AdmissionHours: Monday-Friday, 8:30 a.m.-5 p.m.; Saturday-Sunday, 1-5 p.m.